Once in a great while I stumble across a book that deserves 6 out of 5 stars, and this one is it. (The last one like it was "The Tabernacle Pre-figured" by L. Michael Morales.) What makes this book so great are a number of factors. For starters, it's a Sheffield/T&T Clark/Bloombury Press book, aka highly academic, but it's also highly readable. The author doesn't blast page after page with complicated jargon or references to sources that aren't readily accessible; instead he works a steady pace, page after page, introducing the reader to the idea of the main thesis, using scripture and contemporary rabbinical sources. Also, what he inserts at a steady pace is golden. Because the thesis of the book is that Jesus fulfills Old Covenant temple typology, and that John's Gospel was written convey that very clear message, he begins with a section discussing the significance of the Gospel being written shortly after the destruction of the Jewish Temple in 70 A.D., and how Jews responded to the destruction of that Temple. In contrast with that, John's Gospel is set up to teach that destruction as a necessary consequence of covenant infidelity; nevertheless hope is offered in the new Temple, the temple of Jesus' Body, which also was destroyed, but also raised to greater glory. Theologically, this book is fascinating. One of my favorite aspects of the book is how the author tries to clarify some of the goofy looking parts of John's gospel. For example, chapter one has this really goofy [at least I think so], out of place conversation between Jesus and Nathaniel (John 1:43-51). Nothing seems to flow together well. 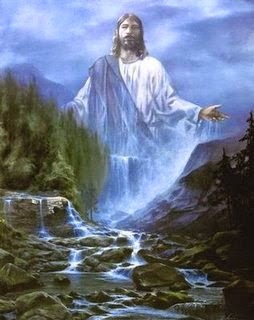 He insults Nazareth for no apparent reason, gets complimented by Jesus, is seen sitting under a fig tree, and then suddenly comes to believe Jesus is "The Son of God"! The narrative seems choppy and forced, and the reader is left wondering if it's supposed to be as cryptic as it appears. However, its choppy feel is not so choppy to me anymore after reading Allen Kerr's explanation of it's connection with the surrounding narrative (and it's temple typology). Indeed, Kerr's contribution to the exegesis of the first five chapters of John's gospel are worth the price of the book. (And this book is pretty pricey!). Thankfully Kerr surveys much more than just the first five chapters. Kerr also contributes significantly to the conversation about temple festivals and priestly activity in John's gospel. 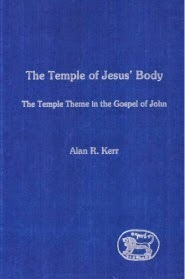 However, Kerr remains focused on how John seems to have used those themes in connection with temple typology. In this area, one observation that stood out to me was Kerr's explanation of Jesus' footwashing, and how many factors within that narrative section (and yes, he deals with literary structure!) allude to Jesus' footwashing rite as a priestly rite of preparation for entering the temple. Bottom line: read this book if you're interested in John's gospel and temple typology. You won't be disappointed. There are two things in which all men are manifestly unmistakably equal. They are not equally clever or equally muscular or equally fat, as the sages of the modern reaction perceive. But this is a spiritual certainty, that all men are tragic. And this again, is an equally sublime spiritual certainty, that all men are comic. No special and private sorrow can be so dreadful as the fact of having to die. And no freak or deformity can be so funny as the mere fact of having two legs. Every man is important if he loses his life; and every man is funny if he loses his hat, and has to run after it. And the universal test everywhere of whether a thing is popular, of the people, is whether it employs vigorously these extremes of the tragic and the comic. Labor with one another; contend together, run together, suffer together, sleep together, and rise together; as the stewards and assessors and ministers of God. Please him under whom ye war, and from whom ye receive your wages. 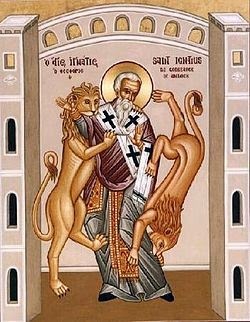 Let none of you be found a deserter; but let your baptism remain as your arms--your faith as your helmet--your charity as your spear--your patience as your whole armor. Let your works be your charge, so that you may receive a suitable reward. Be long-suffering, therefore, towards each other, in meekness, as God is towards you. Let me have joy of you in all things. Locutionary acts utter or inscribe words, illocutionary acts use uttered or inscribed words to perform communications concerning the purpose or disposition of the speaker or writer, and perlocutionary acts rely on uttered or inscribed words to accomplish a particular effect in the hearer or speaker. All of it concerns getting things done with speech. But the things gotten done are different in quality and "locution," even when they are all gotten done by means of a single speech act, such as uttering the phrase, "Let him have it." 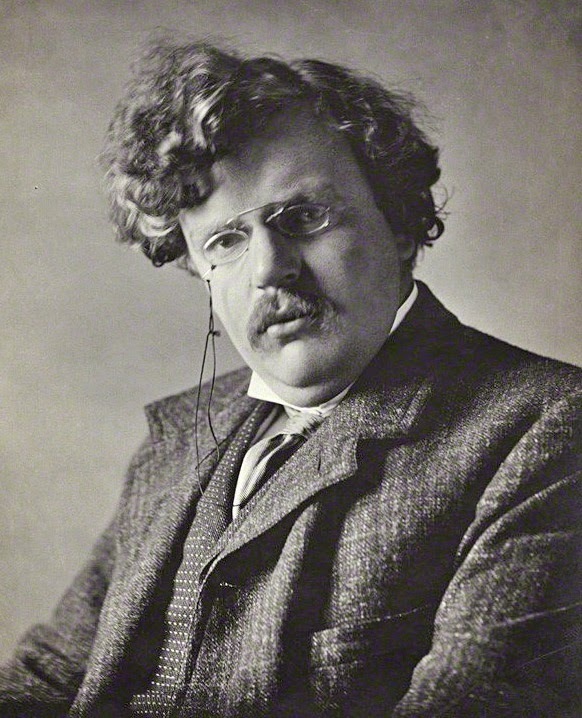 The point of distinguishing these three speech acts is to help us to recognize that the use of speech to communicate is not a simple matter of speakers intending to make clear propositional statements that, when properly interpreted, reproduce the original propositional meaning in the minds of those receiving the statements. It is more complicated than that. ...The meanings of terms such as "error," "mistaken," "inaccurate," and "fallible" become not entirely straightforward when speech acts are understood in this way. Of course, certain kinds of cases can be straightforward about descriptive truth or falsehood. If the illocutionary action of the locution, "Jesus went throughout Galilee," for example, is to inform hearers or readers about actual events in specific locations, then if Jesus had never been to Galilee, the locution would be in error and the related illocutionary act would be performed fallibly. In such cases of reporting mistakes, the readers or hearers would then have good reason to increase their distrust of the speaker or writer. But many cases of speech communication are not that simple. Consider some of the illocutionary acts named above [previously]: commanding, promising, warning, asking, assuring, appealing, criticizing, offering, honoring, bequeathing, and challenging. What would it mean for them to be in error or mistaken? Is it even strictly possible? Can a command itself be inaccurate? No. Commands can be unauthorized or misguided but not inaccurate. Can an appeal be mistaken? Not really. Appeals can be hopeless or unnecessary but not mistaken. Can a promise itself be in error? No exactly. A promise, by virtue of its own future orientation, may later prove to have been empty or untrustworthy. And present knowledge about the one making the promise may provide grounds to judge his or her promises as unlikely to be fulfilled. But promises as promises per se are not the sort of things that either entail errors or do not. Given the richness of the variety of kinds of speech acts that appear to be at work in the Bible, therefore, it seems quite inadequate to try to describe or defend scripture's truthfulness, reliability, authority, and whatever else we might say on its behalf with single, technical terms like "inerrancy." That particular term---a favorite of many evangelicals---tends to zero in on matters of accuracy in reporting on facts and events as a matter of correspondence between propositions and the real states to which those propositions refer. But that term tends not to capture the multitude of other ways in which the locutions of texts and their illocutionary and perlocutionary acts may or may not be reliable, authoritative, compelling, powerful, inviting, and so on. Imagine, for instance. that you comfort someone in distress over her deep personal loss and then the next day have her thank you profusely for your being so precise or aesthetically stimulating. It would not compute. Those terms would simply not capture the quality of the merits of your comforting actions that deserve appreciation and gratitude. "Inerrancy" often works like that. 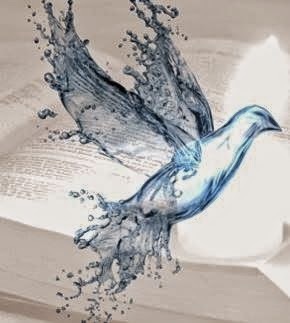 Evangelical defenders of biblical inerrancy are used to the typical charge by more liberal critics that "inerrancy" is too strong, extreme, or demanding of a concept to accurately describe what the Bible is. What I am suggesting here is quite the opposite. "Inerrancy" is far too limited, narrow, restricted, flat, and weak a term to represent the many virtues of the Bible that are necessary to recognize, affirm, and commend the variety of speech acts performed in scripture. I suspect that most evangelicals, including biblicists, more or less intuitively know this. Nevertheless, lacking a richer and more appropriate vocabulary with which to work in thinking about and describing the Bible, far too many evangelicals---who understandably feel the need not to compromise on their "high view" of the Bible---stretch the technical term "inerrancy" to applications and meanings beyond its reasonable use value. But in the end it is not a helpful situation for enabling people to read, understand, and live from the Bible. In sum, recognizing the distinctions between locutionary, illocutionary, and perlocutionary speech acts forces upon Bible interpreters a difficult set of questions. God may be doing quite different things by "saying" quite different things. So, we need to ask not only what the text appears to say in our English translations and what is as a locution apparently said in the linguistic context in which it was originally spoken or inscribed. We also need to consider what illocutionary and perlocutionary acts the writers and divine inspirer were performing in expressing their various locutions. They could often be any number of things. 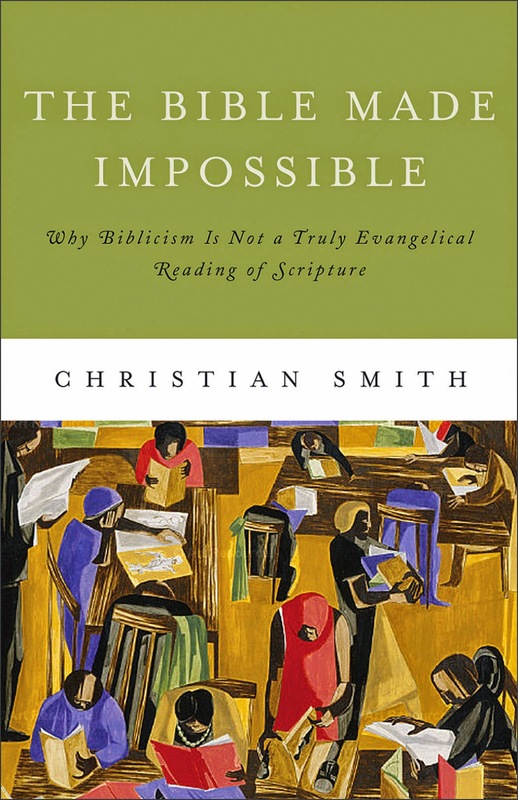 Insofar as the Bible is at once both a fully human and divinely inspired collection of texts, as evangelicals believe, we also need to ask whether the illocutionary acts of the human writer are the same as the illocutionary acts of God in inspiring them.